Today we are interviewing Amanda Nicole, author of From Divorce to Destiny. I am a single mother and serial entrepreneur. 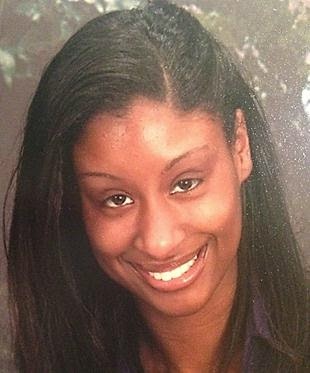 I work as a freelance consultant providing administrative, reporting and analysis, and graphic design services to my clients. I also work full-time as a Business Analyst, and I am also an Indie Author. My true passion is teaching and writing, so that is what my writing and my books are really intended to do. They are created to teach others the lessons that I’ve learned the hard way. That’s why my books are seemingly all over the place in terms of subject matter and genre. I wear a lot of hats and have done a lot of things in my life, so I can teach on a lot of different subjects. 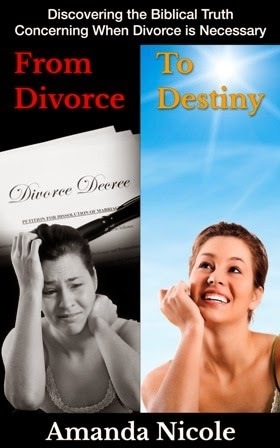 Describe the purpose of From Divorce to Destiny in a few sentences. The purpose of this particular book is to dispel the myths that are associated with divorce and the Bible. I’ve seen so many people stay stuck and miserable inside of a failing marriage, feeling like it is their duty as a Christian or as a parent to stick it out. I want people to realize God’s true heart for them, in combination with His commands on marriage and divorce. Anyone who is miserable in their marriage, or who has gotten divorced and is now being wracked with guilt as a result of it. Truth has such an amazing power to free people, and that is what my prayer is that my readers will experience. What inspired you to write a book about the Biblical basis for divorce? My own experience, and the experiences of others. I lived this book, so I know what it’s like to agonize over the decision to get a divorce and to reach out for answers only to find judgement. I had to ask God for myself to get answers. I encourage others to do the same and not to take my book as law, but we are helpers of one another, so I want to help others in any way that I can as they navigate this difficult subject. What do you think are some of the biggest misconceptions regarding what the Bible says about divorce? I think the biggest misconception is a wrong view of marriage. People don’t really understand what marriage is in God’s eyes. He is the creator of marriage, so He is the only officiator. Divorce becomes an option when you were never really married in God’s eyes. I believe that there are a lot more marriage that fall under that heading than we want to believe. Well it will do one of two things. It will either outrage them if they don’t share my same philosophy, or if they’re not will to admit that their prior perception of marriage and divorce was incorrect, or it will provide freedom and relief that what they knew to be true deep down in their spirit, it actually correct. My prayer is that it will encourage readers to ask God to confirm or deny what is being said and to speak to them. I can never go wrong when encouraging readers to run to God and that I what I do throughout in the book. I am currently working on two pieces. The first is a follow up to this book about what to do post-divorce. It discusses seeking emotional healing, how to make sure the kids are okay, how to date correctly as a Christian, and how to choose wiser when considering re-marriage. That book is completed and just waiting on me to find the time to get it edited and ready for publication. The second book is the sequel to my young adult book that describes Christian superheroes. The first book describes them and how they hear God concerning their heavenly assignment. The next one will describe their implementation of their assignment, and the impact that it has on the generation as a result. That book is only about 25% complete. Yes. I’d like for readers to know this about all of my books. I think outside of the box and my books are outside of the box. I have read a lot of books on the subjects that I write on, and my books are not similar to those books at all. My philosophy is different, my point of view is different etc. If you are expecting my books to be the same as what you’re used to reading on a particular subject or even a particular genre, then I’m afraid that you will be gravely disappointed. Read my books if you are looking for something different because those are the readers that will be the most satisfied. Also concerning this particular book, I am not pro-divorce, I am pro hearing God concerning your choice of mate before you get married in the first place. However, if you a hard head like me and you didn’t do that, then I do believe that there are times when divorce is necessary, for that reason.